I am currently designing a prototyping board for fast pulse detection with 4 amplification stages at the input. I am currently not able to provide a schematic portion of it as I don't have access to it right now, but I can provide it if requested. The frequency range I am interested in is between 10 MHz and 400 MHz. I am planning to make the board 4 layers, with the stack-up SIG|GND|PWR|GND, although I am not sure. In the layout, A2 and first A3 will be by-passable via alternate routing through 0 ohm resistors. Is there a chance that the shield will degrade an amplifier's performance by providing a radiating structure due to a signal leakage under the placed amplifier? When shielding stages, should I include close-by filters and other passive elements in the enclosure as well? Would the correct placement and performance evaluation of such shields be hard? I have a very tight schedule and I certainly can't test the effectiveness of them. Should I instead try to encapsulate all the amplifier stages in one shielding block? I don't mean an outer enclosure for the PCB as I will probably make one. I am at least willing to try some of this as this will be a complete prototyping board anyway, but I would be very glad if I could gain some insight on the issue. Thanks in advance! 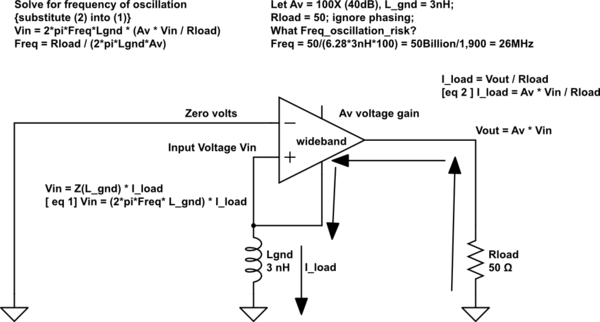 There are several factors to consider when assembling RF amplifiers in VHF range on a pcb. No claim of being exhaustive, just some thoughts for discussion. 1) amplifiers need supply that in turn need decoupling: this is the path #1 for undesired effects; in an old project I was distributing power to several modules using large traces from a common +28V and decoupling with pi C-L-C circuit; traces and not a single plane to avoid common impedance coupling through V+. For large power, and large current since supply voltage is never above some tenths of Volts, you need to design for heat dissipation in your traces (e.g. 35/70 micron of copper, outer traces for power, ...). 2) Spread around capacitors to improve supply impedance at VHF; not such a high frequency to require distributed capacitance, e.g. through pcb itself. 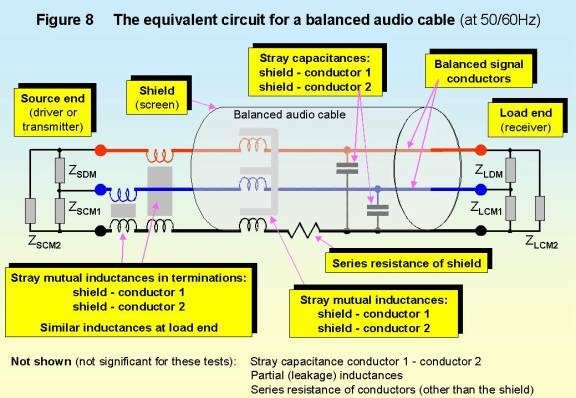 4) you say that A2 and A3(1) can be bypassed by 0ohm resistors: consider that all these modules shall be fed with transmission lines built for 50 ohm (or whatever it is) characteristic impedance; those 0 ohm are a discontinuity and a cause of mismatch for return loss and backward power. Better if you use RF relays or you manually reconfigure a coax line. 5) if amplifiers are modules in metallic housing, probably they are already well shielded; if they are components/hybrids, then shielding is necessary as you propose, but ... first, the shield might electromagnetically load and change module response (not dramatically), and, second, considering your 110 dB gain, keep amplifiers and filters separated, using metallic separators, otherwise noise pickup between output and input and oscillations are likely to occur. What is normally done when using some kind of shielding enclosure is to use coax capacitors for decoupling when passing through the wall. 6) consider distributing signals as striplines inside the power layers, rather than microstrips, to reduce stray coupling and radiation; frequency is low enough so that both work from a purely RF viewpoint. Shielding blocks electric fields, but not magnetic. The other problem with shielding is you cannot have a large current running on the outside of the shield, or it will couple magnetically (via mutual inductance) to the inner conductor and create noise. Shields also block noise from the conductor on the inside to the outside, and the shield is usually tied to chassis ground or PCB ground. If there is noise on these grounds, it can turn the shield into a nice antenna. The ideal shield would enclose all electronics and your sensor to keep any stray electric fields from impinging on your device, try and follow an ideal shield as closely as possible. If you think that there will be a crosstalk between amplifier stages, model this as a capacitor of a few pf's between stages (or 10's pfs as an upper bound) to simulate electric fields through air. If this caueses problems for your design, you may need to put shielding between stages. The ammount of capacitance will depend on the design of your board, but can be calculated with pcb trace calculators. If this is the case, then build in a solution before you build the board. For example, if you are unsure if you need shielding between stages, find an EMI gasket or copper wall that you could install later. Try it without and then add it later if needed. Copper tape goes a long way in prototyping, and if you only have small quantity for production, just use copper tape. Or if your manufacturing the shield (like with a CNC) then just build one shield with multiple rooms. Not the answer you're looking for? Browse other questions tagged rf emc enclosure or ask your own question. RF (2.4GHz) LNA board with multiple amplifier stages: Should I use multiple voltage regulators? BJT vs OPAMP for RF signal amplification: BJT performs better, why?